Westmeath manager Michael Ryan admitted his side were “devastated” not to cause an All Ireland hurling qualifier shock against Limerick at Cusack Park on Saturday evening. Despite a dynamic display from Westmeath, including a brilliant second quarter, the home team were eventually beaten 1-24 to 0-18 by Limerick. In an eventful first half Limerick had Seanie O’Brien sent off, while Graeme Mulcahy netted a 26th-minute goal. But Westmeath, inspired by the excellent Niall O’Brien, departed at the interval leading by 0-13 to 1-9. 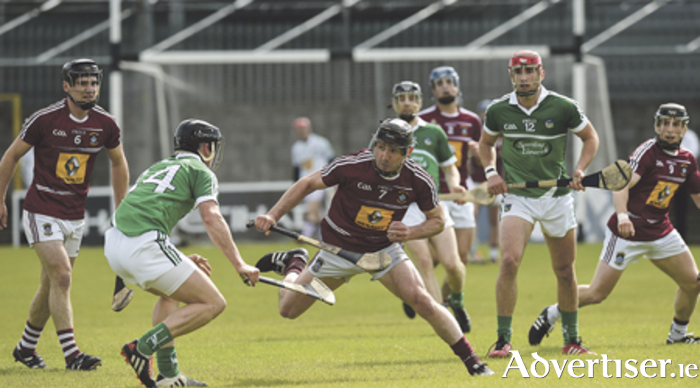 When the action recommenced Westmeath remained competitive, but Limerick finished strongly to secure victory. “Devastated is the word, there is no doubt about that,” Ryan reflected about the loss. “We got off to a poor enough start, we were four or five points down, but we played fantastic hurling after that for the rest of the first half. “We missed a good goal chance through no fault of Cormac’s (Boyle ). Then, at the start of the second half, we felt we were in a really good place, we just didn’t drive it home. Four or five balls went into our full forward line at the start of the second half, we just didn’t get anything from them. Encouraged by how Westmeath fought throughout the game, Ryan felt that his team were primed to cause a huge upset. “I wasn’t worried at half-time. The way we play the game we use the ball very, very well. I felt that we would get chances in the second half, we probably did get chances, we didn’t take them. While Limerick eventually prevailed by nine points, Ryan felt that didn’t offer a fair reflection of what had happened. “I wouldn’t worry about the final scoreline at all, I’m just disappointed for the lads, they are a tremendous group of lads to work with. They’ve been incredible since last October, they’ve worked really hard, they probably deserve a bit better. “Sometimes it is hard to make the breakthrough. If you can make that breakthrough I feel it would never be as hard again. There is plenty to work with, they are a decent bunch of fellas who can hurl and they played very well for lots of that game.